The Sin, Michael Chaffee | Challenging the perceptions for our realities! If in our humanness and from the moment we entered life, we were to just lay there still and frozen, we are told by some that we would still have the burden of sin? For those who aren’t familiar with “Original Sin”, also called ancestral sin, it is the Judeo-Christian doctrine’s variety of humanity’s state of sin resulting from the fall of man, Adam’s specifically! So…sin is with us at least in this version of the human condition and it has been characterized in many different ways! “It can range from something as insignificant as a slight deficiency or a tendency toward sin yet without collective guilt, referred to as a “sin nature” all the way to something as drastic as total depravity or automatic guilt of all humans through “collective guilt”. Needless to say sin is a broad subject and has many faces…Why is this, one may ask? The Seven Catholic Precepts are the responsibilities for being a faithful following Catholic. Well…to try to develop a better understanding as to why we choose to look at sin in such a way, it is important to look back over history and discover from where the precepts have come from that form these perspectives today. Much of the controversy with the many differing theologies regarding sin, stem from the different “faces” of man’s painted portrait for how God’s opinion applies and from this a congregation’s interpretation of God becomes a given faith’s doctrine. This controversy isn’t just limited to the Dualist and Gnostics differences from the 2nd century, where Irenaeus, Bishop of Lyons and Augustine developed the doctrine of what has become known over the centuries as The New Testament, it goes well beyond! If sin was going to be framed in…so to speak, it may be appropriate to start with the term “concupiscence” or “Fomes peccati”, as might Catholics infer. Concupiscence has nine occurrences in the Douay-Rheims Bible and three occurrences in the King James Bible. It is also one of the English translations of the Koine Greek epithumia (ἐπιθυμία), which occurs 38 times in the New Testament. Fomes peccati is described as man’s selfish human desire for an object, person, or experience. It is what they understand as the orientation, inclination or innate tendency of human beings to long for fleshly appetites that are often associated with a desire to do things which are proscribed (denounced or condemned). So…historically it is important to appreciate from where the interpretations of what is “sin” have been formed, before we can understand what has shaped our prospective about how sinfulness appears. So…the primary difference between Catholic theology and most of the many different Protestant theologies on the issue of concupiscence is whether it can be classified as sin by its own nature? Different Protestant denominations tend to see concupiscence as sin itself, an act of the sinner. The Catholic Church teaches that while it is highly likely to cause sin, concupiscence is not sin itself. Rather,…it is “the tinder for sin” which “cannot harm those who do not consent”. Now on the Jewish theologian’s side of this argument they are divided, at least with regards to the cause of what is called “Original Sin”. 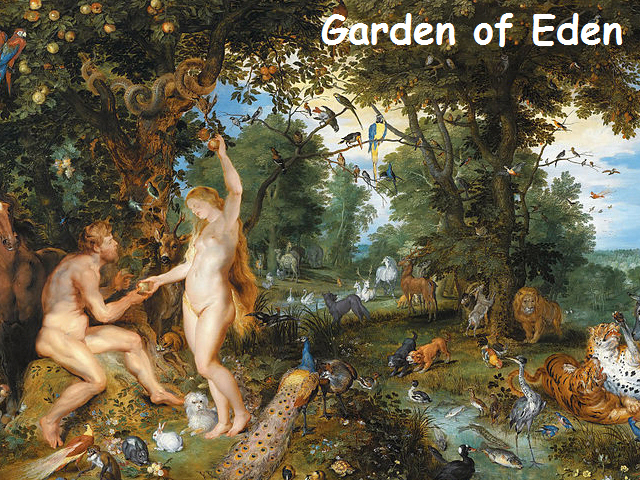 Some teach that it was due to Adam’s yielding to temptation in eating of the forbidden fruit and has been inherited by his descendants; the majority, however, do not hold Adam responsible for the sins of humanity, teaching that, in Genesis 8:21 and 6:5-8, God recognized that Adam’s sins are his alone. In today’s modern society, sin as we have been taught to view it,…has often become refined down to being able to personally balance the scale for how morality weighs in, as apposed to what we deem to be our personal perspectives for the weight of our virtues. In making decisions for arriving at a sense of pureness or impurity, God fearing men would usually recognize the line for what represents as sinfulness, even having chosen to have crossed the line. Roman Catholic Pope, Saint Pius X, on September 1, 1910 mandate. Virtues are only one (the seventh highest order of the nine-fold celestial hierarchy) of nine that were put forward by Pseudo (4th century) and Dionysius (5th century) in the works of Corpus Areopagiticum. In his book, De Coelesti Hierarchia (The Celestial Hierarchy) and his surviving works, Dionysius seems to refer to fictional works mentioned by the Areopagite as a literary device, that gives the impression to his sixth century readers of engaging with the surviving fragments of a much larger first century corpus of writings. The term corpus here denotes a collection of documents; corpus juris, a collection of laws especially if they are placed in systematic order. It may signify also an official and complete collection of a legislation made by the legislative power, comprising all the laws which are in force in a country or society. The term, although it never received legal sanction in either Roman or canon law, being merely the phraseology of the learned, is used in the above sense when the “Corpus Juris Civilis” of the Roman Christian emperors is meant. The expression corpus juris may also mean, not the collection of laws itself, but the legislation of a society considered as a whole. We cannot better explain the signification of the term corpus juris canonici than by showing the successive meanings which were assigned to it in the past and which it usually bears at the present day. Under the name of “corpus canonum” were designated the collection of Dionysius Exiguus and the “Collectio Anselmo dedicata”. The “Decree” of Gratian is already called “Corpus Juris Canonici” by a glossator of the twelfth century, and Innocent IV calls by this name the “Decretals” of Gregory IX (Ad expediendos, 9 Sept., 1253). In the 5th century, a widely cited report on a colloquy held between two Christian groups (orthodox and monophysite) debating the decrees of the Council of Chalcedon, Severus of Antioch and his monophysite supporters cited the Fourth Letter in defense of those views. It is possible that Dionysius was himself a member of this group, though debate continues over whether his writings do in fact reveal a monophysite understanding of Christ or otherwise. It is argued that these writings scribed in Syriac, which is still used today by Syrian Christians, was the liturgical language. Additionally, it is claimed to reveal, for example, by the accounts of the sacramental rites, that Dionysius gives in The Ecclesiastical Hierarchy, a resemblance to Syriac rites. So…the point here is,…that his writings were passed along and laid somewhat quiet until around the 12th century. This is where they significantly began to greatly influenced the Schools. By the thirteenth-century, the Parisian corpus provided an important reference point by combining the “Old Translation” of Eriugena with the “New Translation of John Sarrazin, along with glosses and scholia by Maximus the Confessor, John of Scythopolis and others, as well as the “Extracts” by Thomas Gallus, and several commentaries such as John the Scot, John Sarrazin and Hugh of St Victor on The Celestial Hierarchy. As a result, it quickly became common to make reference to Dionysius. Thomas Aquinas wrote an explanation for several works, and cites him over 1700 times. Even,…Bonaventure called him the “prince of mystics” during these times. His influence can also be traced in the Spanish Carmelite thought of the sixteenth century among Teresa of Avila and John of the Cross. In addition there are also ten epistles and seven other works, namely Theological Outlines (Θεολογικαὶ ὑποτυπώσεις), Symbolic Theology (Συμβολικὴ θεολογία), On Angelic Properties and Orders (Περὶ ἀγγελικῶν ἰδιοτήτων καὶ τάξεων), On the Just and Divine Judgement (Περὶ δικαίου καὶ θείου δικαστηρίου), On the Soul (Περὶ ψυχῆς), On Intelligible and Sensible Beings, and On the Divine Hymns. As such, we have chosen in modern society to over look much of the complexities that have nailed the framework together. It is from these forms that the borders of definition allow the translucent paint to reflect as image and cast light upon view of what is called sinfulness. After all, absent this heavily influenced framework for how sin’s appearance is supposed to look, what would we be looking at? How has the calligraphy over thousands of years, changed under candlelight? Who has delegated this authorship of transcribing the word of God, and how did this make a difference in how we view sins today? How would one revert back through the centuries, to a time when the untranslated versions of a truthful perspective existed, for what was the meaning of sinfulness from the word of God. If one is truly interested in getting to the roots of God’s definition for sinfulness, it only requires offering up one’s humiliation when the comparisons provide them with unadulterated clarity. Authority and power have come from the conscription of the magnitudes, and these followings of aimless poor souls deem themselves blamelessly! Nothing is further from the truth, as each and everyone of us is a minute fractional equivalence for the weight that rests upon the sins of the world. We can choose to discover what lays behind the proclamations from the well studied theologians, as either well founded in the origination of God’s word or a promotion of deceptiveness that is embedded in self-professed authoritarianism. Theological facts, need not engage in re-scribing God’s truthfulness, and as well we can choose to defend the indefensible by becoming followers of such rhetoric, the choice is purely or impurely ours! The most influential Christian angelic hierarchy was that put forward by Pseudo-Dionysius the Areopagite in the 4th or 5th century in his book De Coelesti Hierarchia (On the Celestial Hierarchy). During the Middle Ages, many schemes were proposed, some drawing on and expanding on Pseudo-Dionysius, others suggesting completely different classifications. According to medieval Christian theologians, the angels are organized into several orders, or “Angelic Choirs”. In order to truly get to the roots of God’s words, as Christians, the best we can hope for is to read the words of his trusted disciples. I believe Simon-Peter would be the best second hand accounting for what God spoke through Jesus Christ. The New Testament indicates that Peter was the son of John (or Jonah or Jona) and was from the village of Bethsaida in the province of Galilee or Gaulanitis. His brother Andrew was also an apostle. According to New Testament accounts, Peter was one of twelve apostles chosen by Jesus from his first disciples. Originally a fisherman, he played a leadership role and was with Jesus during events witnessed by only a few apostles, such as the Transfiguration. According to the gospels, Peter confessed Jesus as the Messiah, was part of Jesus’s inner circle, thrice denied Jesus, and preached on the day of Pentecost. According to Christian tradition, Peter was crucified in Rome under Emperor Nero Augustus Caesar. It is traditionally held that he was crucified upside down at his own request, since he saw himself unworthy to be crucified in the same way as Jesus Christ. Tradition holds that he was crucified at the site of the Clementine Chapel. His mortal remains are contained in the underground Confessio of St. Peter’s Basilica, where Pope Paul VI announced in 1968 the excavated discovery of a first-century Roman cemetery. Every June 29 since 1736, a life-size statue of Saint Peter has been crowned in St. Peter’s Basilica with a papal tiara, ring of the fisherman, and papal vestments, as part of the Feast of Saints Peter and Paul. Two general epistles in the New Testament are ascribed to Peter, but virtually all biblical scholars reject the Petrine authorship of both. The rejection of Petrine authorship, and the discrediting of these books as apocryphal due to having pseudonymous origins, is interesting. Some scholars are convinced that Peter was not the author of First Epistle of Peter, because the author had to have a formal education in rhetoric/philosophy and an advanced knowledge of the Greek language. Additionally, other scholars doubt Petrine authorship because they are convinced that 1 Peter is dependent on the Pauline epistles and thus was written after Paul the Apostle’s ministry (during the reign of Domitian in AD 81), because it shares many of the same motifs espoused in Ephesians, Colossians, and the Pastoral Epistles. Again,…others argue that it makes little sense to ascribe the work to Peter when it could have been ascribed to Paul. One theory used to support Petrine authorship of 1 Peter is the “secretarial hypothesis”, which suggests that 1 Peter was dictated by Peter and was written in Greek by his secretary, Silvanus 5:12. However, another noted scholar suggests that the notion of Silvanus as secretary or author or drafter of 1 Peter represents little more than a counsel of despair and introduces more problems than it solves because the Greek rendition of 5:12 suggests that Silvanus was not the secretary, but the courier/bearer of 1 Peter, and some see Mark as a contributor amanuensis in the composition and writing of the work. On the one hand, some scholars are convinced that the language, dating, literary style, and structure of this text makes it implausible to conclude that 1 Peter was written by Peter; according to some scholars, it is more likely that 1 Peter is a pseudonymous letter, written later by one of the disciples of Peter in his honor. On the other hand, some scholars argue that there is not enough evidence to conclude that Peter did not write 1 Peter. For instance, there are similarities between 1 Peter and Peter’s speeches in the Biblical book of Acts, and the earliest attestation of Peter’s authorship comes from 2 Peter (AD 80–90) and the letters of Clement (AD 70-140). Ultimately, the authorship of 1 Peter remains contested, because men can’t agree on the authorship of his writings but, many of these same men can authenticate corpus from a collection of documents, “corpus juris”, and a collection of laws placed in systematic order, represented as official and as a complete collection of the Church’s legislation. In stating such,…these are made into legislative power, comprising all the laws of the Church under the force of the Leadership of the Church, which in essence is very much like the authority of a country within a country. It’s sharing power over a society, such as in China or Russia, who’s leaders would prefer to be totalitarian. So…a long journey in getting to my point here but, it should be fairly clear now as to the historical relevance and purposefulness in defining sin. The term, “Church’s Authority” although has not received legal sanction in either Roman or canon law, and is recognized as being merely the phraseology of the learned, is used in the above sense when the “Corpus Juris Civilis” of the Roman Christian emperors is meant. The expression corpus juris may also mean, not the collection of laws itself, but the legislation of a society considered as a whole. This clearly explains the significance of the term corpus juris canonici by showing the successive meanings which were assigned to it in the past and which it usually bears at the present day. Under the name of “corpus canonum” it’s been designated the collection of Dionysius Exiguus and the “Collectio Anselmo dedicata”. May I remind you that, The “Decree” of Gratian is already called “Corpus Juris Canonici” by a glossator of the twelfth century. This was used by canonists of the Roman Catholic Church until Pentecost (May 19) 1918, when a revised Code of Canon Law (Codex Iuris Canonici) promulgated by Pope Benedict XV on 27 May 1917 obtained legal force. Pope Francis reiterates that “It is absurd to say you follow Jesus Christ but reject the Church but, he failed to differentiate between which Church he was speaking about, Vatican I or Vatican II? The Second Vatican Council (Latin: Concilium Oecumenicum Vaticanum Secundum or informally known as Vatican II) addressed relations between the Roman Catholic Church and the modern world. It was the twenty-first ecumenical council of the Catholic Church and the second to be held at Saint Peter’s Basilica in the Vatican. The council, through the Holy See, formally opened under the pontificate of Pope John XXIII on 11 October 1962 and closed under Pope Paul VI on the Feast of the Immaculate Conception in 1965. Unlike previous councils, it was unique as it did not issue any new dogmas, declare any anathemas, or settle any grave heresies prevailing at the time. Instead, the council became known for its renewal of Catholic doctrine in a modern timeline and perspective. Several institutional changes resulted from the council, such as the renewal of consecrated life with a revised charism, and ecumenical efforts towards dialogue with other religions, the notion of the Catholic Church alone brings through ultimate salvation to mankind, and the expressive participation of laity in various religious activities. The most palpable changes which followed the council include the widespread use of vernacular language in Holy Mass instead of the Latin language, the displacement of the Church tabernacle from the central aisle, the revision of Eucharistic prayers, along with various indirect changes such as the celebration of the Mass with the officiant facing the congregation (Versus Populum), instead of facing east toward the apse or wall behind the altar (Ad Orientem); the abbreviation of the liturgical calendar; and for modern aesthetic changes encompassing contemporary Catholic liturgical music and artwork, many of which remain divisive and polemic among the Catholic faithful until the present day. In general perspective, the council is often championed by liberal Cafeteria Catholics while frowned upon by Traditionalist Catholics. Of those who took part in the council’s opening session, four have become pontiffs to date: Cardinal Giovanni Battista Montini, who on succeeding Pope John XXIII took the name of Paul VI; Bishop Albino Luciani, the future Pope John Paul I; Bishop Karol Wojtyła, who became Pope St. John Paul II; and Father Joseph Ratzinger, present as a theological consultant, who became Pope Benedict XVI. It is interesting that Pope Francis states that change is necessary, if the Catholic Church is to continue to influence the faithful into the 21st Century. What does this say about how doctrine has been spelled out all along and what is fueling the redefining of the meaning of sinfulness? What’s the next move, if there is to be one from the Church’s highest office, it rests with Pope Francis. What just took place within the Vatican is at the core of the conflict between redefining traditional sinfulness and modern sinfulness. It is becoming increasingly clearer to some, that the time-honored church doctrine has been disenfranchised by the the Church’s changes in leadership but, why? There is not much mentioned about Pope Benedict stepping down or about how Pope Francis intends to challenge the opposing bishops who have evidently won the first round. Pope Francis has also re-instituting the conflict between the Sedevacantism and Traditionalism Vatican I’s conservative values and the Vatican II modernism liberal values, regarding the legitimacy of Catholic Church’s leadership. The Society of Saint Pius X (SSPX) is an international organisation, founded in 1970 by the French archbishop Marcel Lefebvre, of traditionalist Catholic priests who do not legitimately exercise any ministry within the Catholic Church and whose association has no canonical status any longer. Pope Benedict XVI declared that, for doctrinal rather than disciplinary reasons, the SSPX has no canonical status in the Catholic Church and, because of that lack of canonical status, the ministries exercised by its ministers are not legitimate in the Church. However, the society’s superior general maintains that the Holy See gives some recognition to the canonical existence and ecclesial ministry of the Society’s priests. Tensions between the society and the Holy See reached their height in 1988, when Archbishop Lefebvre consecrated four bishops against the orders of Pope John Paul II, resulting in a declaration of excommunication against the bishops who consecrated or were consecrated, an excommunication remitted for those still alive in January 2009 with a hope expressed that all members of the society would quickly return to full communion. Formal discussions between the Holy See and the society began in 2009 and reached a critical stage in 2012, when Bishop Bernard Fellay rejected the doctrinal document presented to him on 13 June, evaluating a text proposed by the society on 15 April. Fellay asked Pope Benedict if that document had the Pope’s personal approval and the Pope sent him a handwritten letter assuring him that it had. On 27 June 2013, the society’s three remaining bishops (it had expelled Bishop Williamson) formally rejected the Holy See’s proposals and on 12 October 2013, Bishop Fellay spoke of Pope Francis as a Modernist. Pope Benedict XVI made Cardinal Burke head of the Vatican’s supreme court. In 2010, he made Burke a cardinal. After a few high-profile disagreements with Burke, Pope Francis demoted him to to patron of the Sovereign Military Order of Malta, a charity. One of those disagreements involved Cardinal Burke’s YouTube statements about, yes that’s right,…the historical values of the Catholic Church regarding sinfulness. So…what about Pope Francis’s statement “It is absurd to say you follow Jesus Christ but reject the Church”. Cardinal Burke’s comment, “There is a strong sense that the church is like a ship without a rudder.”, as well he has also reflected his concerns about the Papal’s approach and style, that are aggressively employing changes that sway the will of the faithful toward a more liberal minded persuasion. However this Pope is viewed historically,…it is very clear that forces inside the Vatican would like to modify the Church’s historic views on sinfulness to appear more moderate. So…what can be relied upon as authentically representing God’s words? Does God change his mind on what the definition of sinful behaviors are because they are being promoted among some men of the 21st century? If it’s absurd to say that you follow Jesus Christ but, reject the latest Church’s Papal statements, if so? Isn’t it equally absurd to watch a Captain purposefully run aground a rudderless ship upon the rocky shores? It’s fairy simple to recognize sinfulness and it is fairly clear what it should mean to Catholics or for that matter any faithful Christian followers of Jesus’s truth. In measuring the weight of words, deeds and duty to God by men who are bestowed the responsibility for the leadership of the Church or any such authority…I believe it is important to imagine how their spiritual attributes would fair, while having the foundation of their faith in Jesus Christ actually tested. So…how many leaders of the faith would choose to be hung upside-down on a Crucifix in honor of Jesus Christ, verses establishing a new bar for how men in the 21st century can lighten the load for their sinfulness…hum?